Over the last couple of years I’ve heard a lot about Daniel Edler’s International Pro Wrestling: UK promotion. Since their inception, they’ve had shows broadcast on TWC Fight, have gained quite a reputation for solid shows amongst the British wrestling faithful, and are, from what I hear, currently embroiled in an inter-promotional war with the once mighty Frontier Wrestling Alliance. But the thing is, even though I’ve got some of their DVDs, I’ve never actually watched one of their shows. Well, today I’m going to rectify this, as we take a look at their Extreme Measures 2 show, held in August 2005. Our host for the evening is Rob Lansdowne. The show begins with the first round of the Extreme Measures tournament, and the first match features two guys I’ve seen quite a bit of over the past couple of years in the form of “The Human Hate Machine” Dave Moralez and Spud, the perennial plucky underdog. Although Moralez is a member of “Charming” Don Charles Team Charming faction, Mr. Charles is conspicuous by his absence here. Lots of jaw jacking at the beginning as Moralez is angered by the fan’s response to his mere presence. Spud, as always, plays the underdog role to perfection as Moralez uses his size and strength advantage to dominate the smaller man, while Spud uses his speed to surprise Moralez with quick pin attempts and high-flying moves. It certainly makes for a good match, because no matter what the big guy does to him, Spud continually kicks out of the pins. But soon Spud emerges victorious, taking Moralez down with a satellite DVD to get the winning pin to advance to the next round. The next tournament match features “The Pukka One” himself, Darren Burridge, against the ever improving Aviv Mayaan. Burridge certainly got the crowd warmed up with his antics, which did include a pair of fluffy dice hanging down from the front of his trunks. It’s a great match here, starting off with some great technical wrestling from both men, before it broke down slightly with a brawl around the ring, and then returning to the ring for some more great action with an excellent ending, a fast exchange of moves ending with Mayaan getting the winning fall with a run-around DDT, a great way to end a great match. Afterwards Burridge congratulates Mayaan on his victory, and then gets him to join him in a dance. The third quarter-final sees Jack Storm facing Dragon Phoenix. This grudge match starts off quickly and before the bell with some fast paced action. This is certainly a tension filled match, with Storm constantly breaking the rules, and getting threatened with disqualification by referee (and my old buddy) Chris Hatch. The action in this one was tremendous, probably the best match I’ve seen Jack Storm in, with Phoenix not far behind him performance wise. In the end if was Storm who emerged victorious, catching Phoenix with a low blow out of sight of the ref before taking him out with a cradle pile driver to go through to the next round in a great bout. The final quarter-final sees American star Jake take on a young guy I haven’t seen in a while, Flaming Red. Red brings along his fellow Chav Army members Smokey and the Bandit with him. Jake really impressed me when I saw him on an SAS Wrestling show, and it was the same here, while Red has improved a hell of a lot since I saw him working for WAW in 2004. So put an improving Red and an impressive Jake together and you’ve got another great match between two guys who looked like they were made for each other. But after what seemed like an eternity of great action, referee Chris Hatch got clobbered when Jake went for the Cop Killer. This snooze time gave Red the opportunity to throw powder into Jake’s eyes, and later, as Smokey and the Bandit distracted the ref, Red clobbered Jake with a chain (for the second time) to get the winning pinfall and to the next round. With the first round of the tournament complete, Matt Damian takes on the Chav Army’s hired gun, Battalion. Battalion entrance is clearly inspired by Taz in his ECW heyday, complete with black towel covering the head, and folded-arm stance in the corner of the ring. Battalion literally obliterates Damian here, suplexing him all over the ring, and while Damian came back with a brief flurry of offence, Battalion soon took him out with a sit-down pile driver, followed by his version of the Taz-mission. The only thing I can say about the big guy here is wow. Then it’s time for the tournament semi-final, a four-way match, fought under no-disqualification rules, featuring Spud, Aviv Mayaan, Jack Storm and Flaming Red, with the winner going on to get a title match, a thirty minute Iron Fist match with IPW:UK Champion Martin Stone. It’s a fast paced match here, and after Storm took out Spud with a chair, Red and Storm spent time doubling up on Mayaan, but neither could decide who should pin him, which eventually lead to the dissolution of their temporary alliance. But as all three remaining men were brawling around the ring, they failed to notice Spud climbing to the top rope, and after Mayaan put Red down with a sit-down suplex, Spud got the only pinfall needed after a frog-splash to get the title shot against Stone. A nice little, albeit short, little match here. Time for the first title match of the evening, as AK47 team of Ashe and Linell defend their IPW:UK tag titles against The Kartel of Sha Samuels and Terry Frasier. A good example of tag-team wrestling here, and the Kartel put in a good showing for themselves, as did the champions, but sadly, a good match was ruined as the Flaming Red and his Chav Army attacked AK47, and all hell broke loose as they joined the Kartel in attacking AK47. Order was finally restored when Tony Sefton and Ashley Reid, came to help out the champions, cleaning house and sending the villainous heels running, with Flaming Red taking a pasting from both Sefton and Reid. The result - the Kartel were disqualified, which didn’t sit too well with them. But things didn’t stop there. For a moment it looked like AK47 and their next challengers, Sefton and Reid, were going to go at it, until Red grabbed the microphone and stirred things up a bit more. Finally, Ashe takes the microphone, and suggests that all four teams involved in the brawl engage in a spot of TLC action at the next show. Well, the match was enjoyable up until the disqualification, but what happened afterwards did tend to drag on a little bit. Main event time, as tournament winner Spud challenges IPW:UK Champion Martin Stone in a thirty minute iron fist match. The rules for this match were simple - the match would be fought over a thirty minute time limit, with the man with the most falls being declared the winner. However, if one man knocks out the other, the match is ended immediately. Now this was a match. Spud went two falls up, first when referee Chris Hatch made a dodgy call by counting Stone out when it seemed like he hadn’t been outside the ring that long. The second fall came via disqualification as Stone clobbered Spud with a cricket bat that Jack Storm had brought down to the ring. But as the clock ticked down and the time limit neared, Stone tried everything he could to put Spud away, but the plucky underdog kept kicking out of each and every pin attempt. Then, in the final two minutes, as it looked like Spud was going to win the title, Stone connected with his variation of the DDT to knock Spud out. A ten count later, and Stone had retained his title in what was a highly charged and very dramatic encounter. Sadly, no extras on this DVD, so let’s get straight into it. In conclusion - having read for the past couple of years about how good Daniel Edler and his promotion are, I can finally say that this reputation is wholly justified. I really enjoyed the majority of this show, and had it not been for the mass brawl at the end of the tag-team match, this one would surely have been a five-star show. But every other match excelled, and I’m glad that I finally got round to seeing some IPW:UK action. 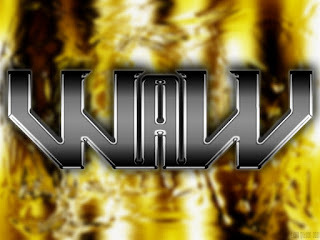 For more information on IPW:UK, their official website can be located at www.ipwuk.com. If you’re interested in buying a copy of this DVD, check out www.a-merchandise.co.uk. Visit A-Merchandise, the official sponsor of The Two Sheds Review, by logging onto www.a-merchandise.co.uk. They stock a wide array of DVDs from all over the world, including FWA, Premier Promotions and IPW: UK from Britain, ROH, Shimmer and PWG from America, as well as merchandise from WWE, UFC, Pro Wrestling NOAH and much more. And finally, some of my work has made it into book form, with the first two stories of my 1990 Anglo-Force series, co-written with my brother Paul, The Two Sheds Review: Wrestling Pulp Fiction, featuring three wrestling-based fictional stories, and A Cornish Adventure, an account, complete with my photos, of my trip to the Cornwall in May 2001. All three books are now available to buy in either book form or via download in PDF format via www.lulu.com/twosheds316. And don’t forget to keep an eye on my website, www.twoshedsreview.com, where you can the entire Two Sheds Review archive, including articles on other sports such as boxing and football, and in the new and re-designed News and Entertainment section.